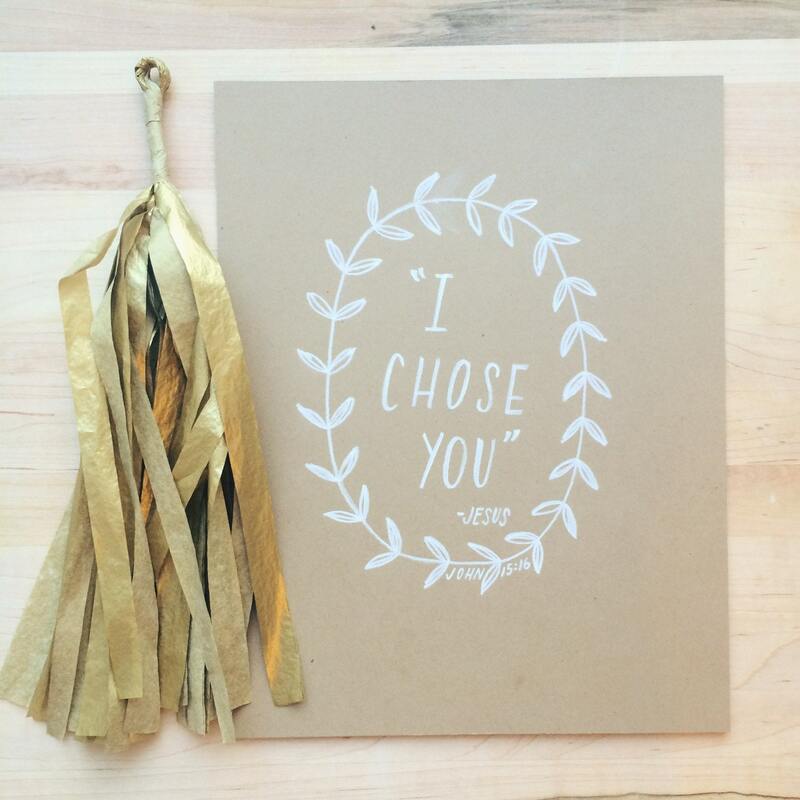 Simple and rustic, this print of my original hand lettered design features a verse from John 15, Jesus speaking to his disciples saying 'I chose you'. 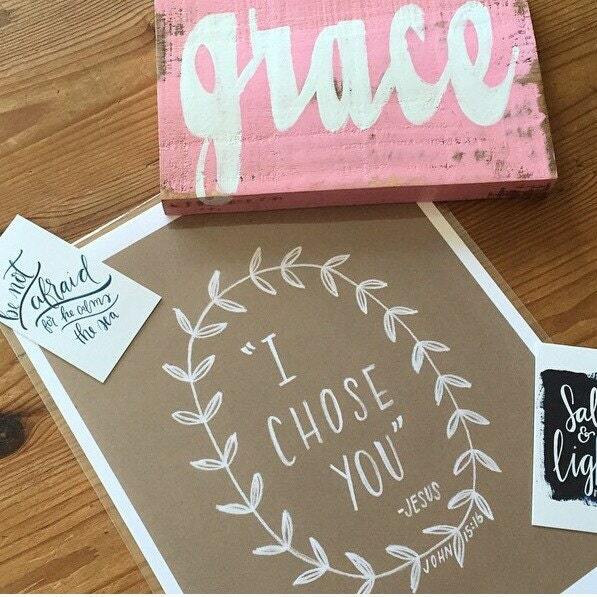 I love to have scripture up on my walls, especially such an affirmation of my worth in the eyes of the king! The original was created on kraft paper with white charcoal, and the simple, clean design would work in every decor. All of my prints and cards are printed at a local print shop, as I love to support small business as well! The paper is a luxe, heavy weight card stock and sure to please! Individually signed and dated by the artist (aka me! ).